Hugged by over 2,300kms of Pacific coastline on the west, the Amazon Basin on the east, and dissected by the mighty Andes right through its core, unassuming little Ecuador is South America’s quietest achiever. Compact, easy to travel through, cheap and enticing; Ecuador could understandably be described as the best value-for-money (and time) destination on this continent. If you only have a few weeks up your sleeve, and want to taste a little of what South America has to offer then visiting Ecuador, and only Ecuador, is by far your best bet. Sure, the Amazon Rainforest is more pristine in Brazil, the skiing better in Argentina and the Inca ruins more popular in Peru, yet here you’ll still find brilliant beaches, amazing mountainous destinations and pristine Amazon nature reserves. What’s more, this is one of the least visited countries on the continent, so although you’ll discover splendid historic cities and spectacular natural wonders, you’ll be sharing them with far fewer visitors. In a part of the world with such a well-established and trodden tourist trail, this is arguably one of Ecuador’s greatest assets. Yet the country’s highlights are certainly nothing to dismiss. 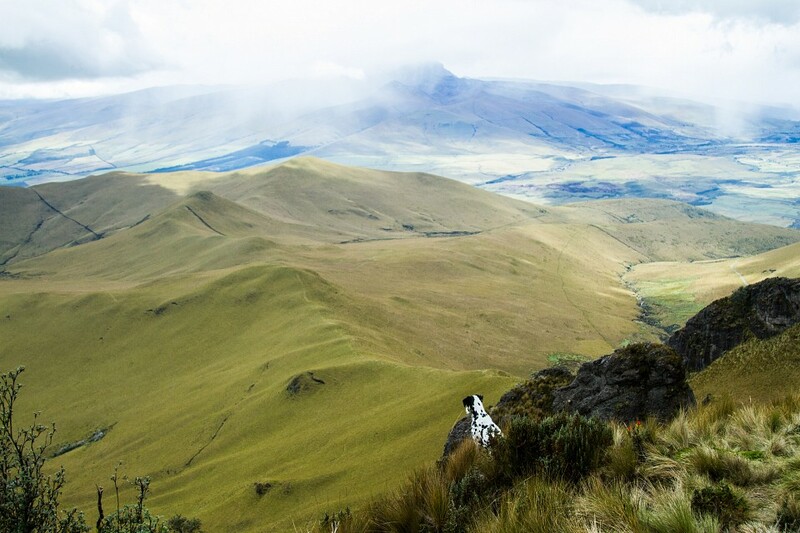 At this height, the Andes literally split in two, leaving Ecuador with a wedge of stunning volcanic landscapes. Only a short drive away from the capital, this active and extinct volcano corridor is home to seven peaks of over 5,000m in altitude. And not to forget, that just a short flight from Quito is where you’ll find the Galapagos Islands, the place which spawned Charles Darwin ’s Theory of Evolution (Darwinism ) and is, without a shadow of a doubt, one of our planet’s most awe-inspiring spectacles. 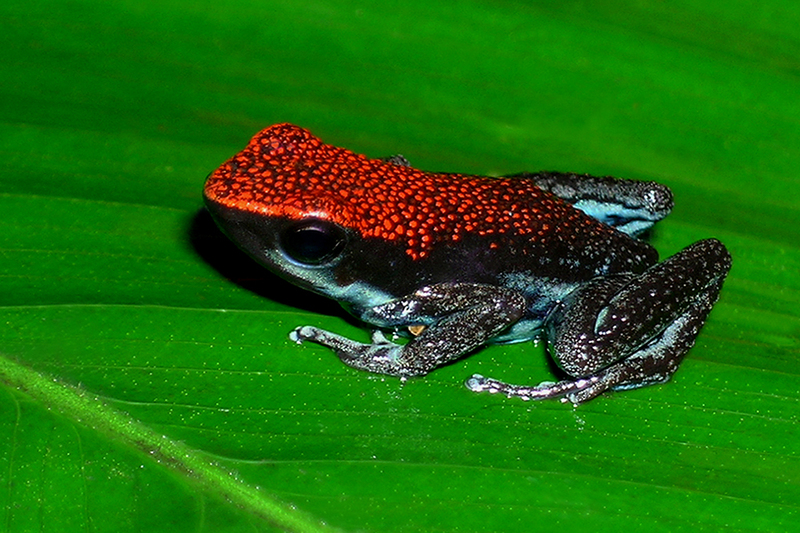 Yes, Ecuador may be small, relatively unknown and often overlooked. Yet in our books, that makes it one of the world’s most rewarding travel destinations of all. Up until a couple of years ago, before the Ecuadorian President, Rafael Correa, rebuffed the USA by allowing WikiLeaks ’ founder safe asylum in his London Consulate, very few people knew much about this most inconspicuous country. Many could indeed name Ecuador as being home of the famed Galapagos Islands but, aside this, not much else. It’s probably not surprising, considering Ecuador has evolved on the fringes of all major Latin American events, since the nation was first conceived. Ecuador was the northernmost point ever reached by the Inca Empire and, after it was founded by the Spaniards in the 16th century, it was ruled by its neighbors (first Peru, then Colombia), for over three centuries. By the time independence came, in 1822, it arrived in the shape of a national conglomerate, named Gran Colombia, which included present-day Ecuador, as well as Panama, Colombia and Venezuela. Bona-fide independence did not reach these shores until 1830, which is when Ecuador first proclaimed to be a Republic, something which it has fought to maintain ever since. Ecuador can easily be divided into four different regions, each offering unique landscapes, cultures, cuisine and attractions. Think of this as the spine of Ecuador, running through its middle all the way from north to south. This is where you’ll find the capital, Quito, as well as charming Cuenca, Ambato, Otavalo, the adventure town of Banos and the awe-inspiring Cotopaxi National Park. When flying into Quito, don’t forget to factor in a few days to allow your body to acclimatize to the high altitude, then spend a few days exploring the mesmerizing volcanoes which dot this very dramatic wedge of the country. Off the northern Pacific coastline is where you’ll find the Galapagos Islands, a cluster of mostly undeveloped, volcanic isles, home to some of the most unique wildlife specimens on the planet. Due to a long-lasting lack of human involvement, the turtles, cormorants, seals and millions of other creatures have developed characteristics not seen anywhere else on the planet. 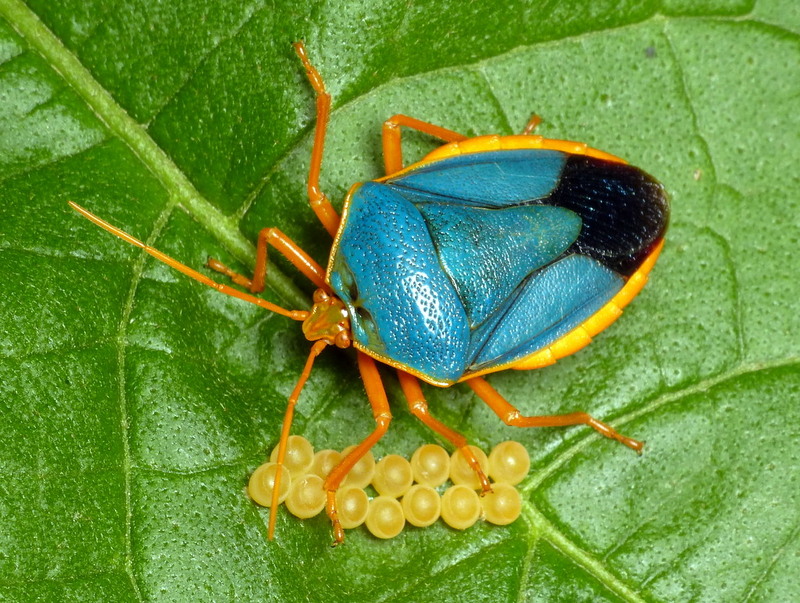 It’s this very peculiarity which led Charles Darwin, the famous English naturalist, to concoct his theory of natural selection . Head off on a short flight from Quito or Guayaquil and spend a week sailing through these astonishing isles. Within just a few hours of leaving the high-altitude capital, you could be swinging on a hammock, swatting mosquitoes, dodging sand flies, sweating buckets and wondering why on earth everyone swoons over tropical rainforests. Well, if you’re going to do it, do it right! Head to Tena or Puyo and join an unforgettable Amazon Rainforest multi-day expedition. 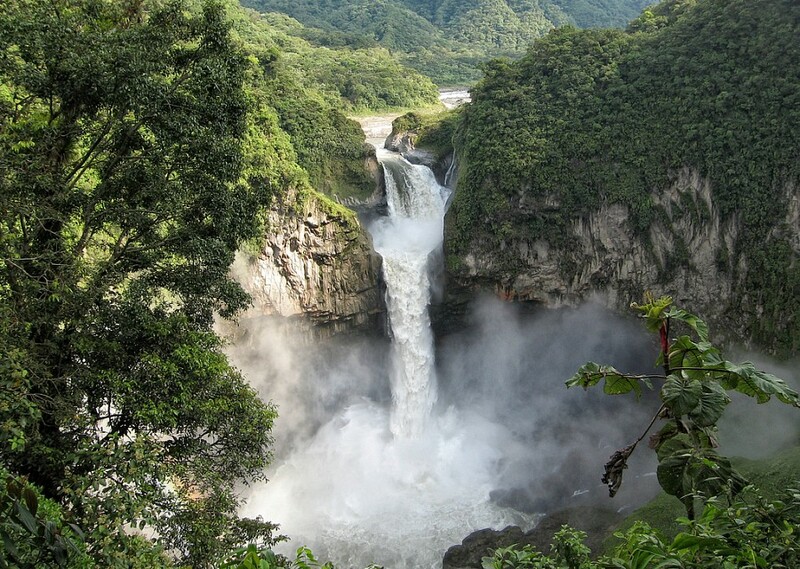 Unlike other countries, Ecuador’s compact size allows visitors the option to choose just ‘how far in’ to the jungle they wish to get, which is a godsend for those on a short vacation. Visit forest lodges, enjoy treks, canoe rides and spend a few nights embedded in gorgeous natural surroundings. Want to enjoy a few days of R&R by the beach while in Ecuador? Too easy! Leave Quito early morning and by lunchtime you could be basking in glorious sunshine, on one of the Pacific Coast’s most stunning stretches. With a year-round ideal climate, delectable seafood, quaint seaside towns and the best surf this side of the Panama Canal , Ecuador’s coast give Brazil’s a run for its slightly chilli money. 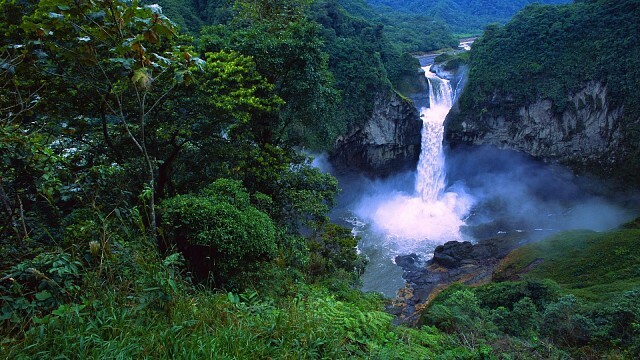 Planning to do a whirlwind trip of Ecuador? Here are the country’s best highlights you really ought not to miss. An hours’ flight of the western coast of Ecuador, lays a volcanic archipelago so stunning and wildlife rich, that it is revered as one of our planet’s foremost natural havens - Galapagos Islands. Fiercely protected, the islands are best visited on a multi-day cruise departing from the main isle, Santa Cruz. Visit centenarian giant turtles in the Charles Darwin Research Centre, spend hours photographing sea lions, blue-footed boobies, iguanas, cormorants, albatrosses and vibrantly colored sally lightfoots, and take a deep sea dive to come face to face with the elusive hammerhead sharks. 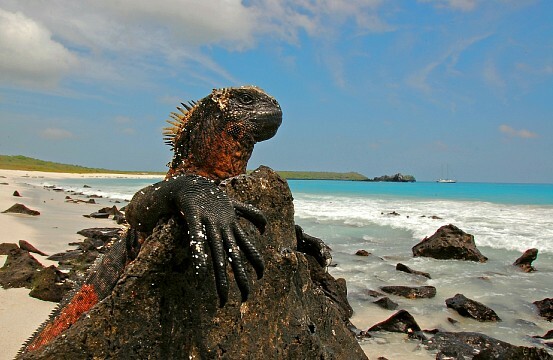 The Galapagos are the ultimate mecca for wildlife lovers over the world. The world’s highest capital city is a two-faced gem. Modern, hip and vibrant on one side and ancient, colonial and authentically Andean on the other, Quito is a fab spot from where to start any Ecuadorian escapade, thanks to its central location. Unfortunately, its altitude will cause a delay of a few days, which can cause some issues for hurried travelers, yet considering this city is much more livable and less touristy than either Cusco or La Paz, spending a few extra days here is very enjoyable indeed. Take a nice, slow sightseeing tour of the main sights (including its collection of stunning churches and cathedrals), before tackling nearby attractions. If you have quite a bit of time, and wish to visit the Galapagos, we suggest you wait to book a cruise until you arrive here. Last minute bookings can slash the price of the über-expensive sailing trips by as much as 50%. Only 2hrs north of Quito is where you’ll find Otavalo, a lovely little town home of what is arguably the best artisan market in all of South America. Although visiting on a day trip is possible if hard pressed for time, staying here a few days will do wonders for your soul. The natural surroundings and small-village feel of Otavalo is a world away from the capital, and makes for a thoroughly relaxing experience. This largely indigenous town is set in a valley and framed by dramatic volcanoes. The remoteness and surrounding landscape make this one of the most picturesque destinations in the entire country. 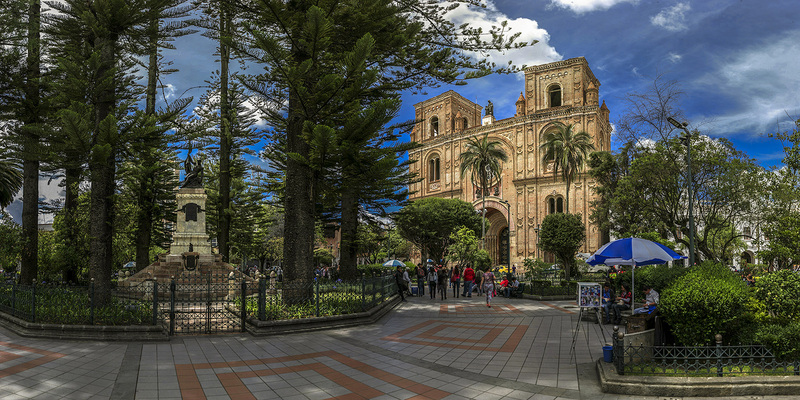 Still on the Andean highlands is where you’ll find Cuenca, a gorgeous mid-sized city whose historic center is so pristine it’s been inducted in the UNESCO-World heritage list. Along with that of Cusco, this is indeed the continent’s most beautiful old city in which to lose a few days. Meander through the maze of cobblestone alleyways, looking out for gigantic tiled domes and impressively high spires, all the while maxing out the credit card in some of the most beautiful art and craft shops in the country. The adrenaline-pumping capital of Ecuador may be named after the least attractive room in your house, but this enticing mountain retreat town is anything but un-savory. 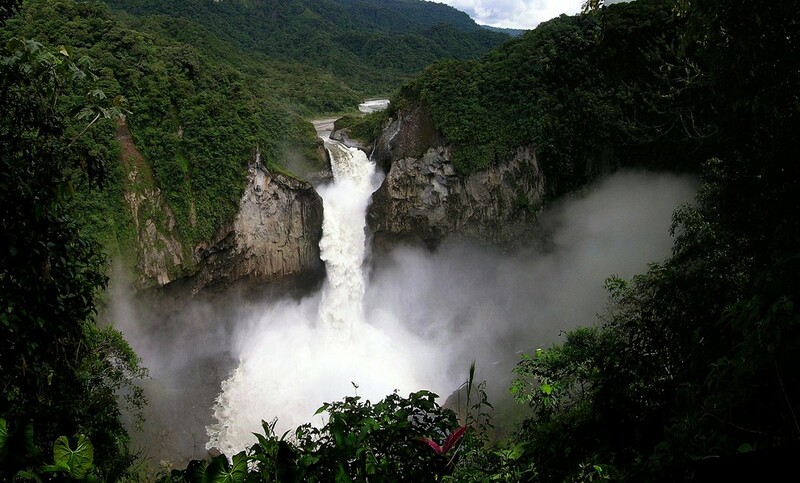 Set on the base of the very active Tungurahua, Baños is a powerhouse of active pursuits, renowned for the formidable canyoning, rafting, hiking, mountain-biking and all-night partying which can be enjoyed amidst spectacular landscapes. The hot thermal baths, from which the town gets its name, are among the most relaxing in all of South America. The town itself? Yessish...it's a bit of a dump...but chances are you won't be spending much time there anyway. If you really want to see the wonders of this area, then head for Pequeno Paraiso, an amazing hostel found just a few kilometres out of town and surrounded by spectacular wilderness. 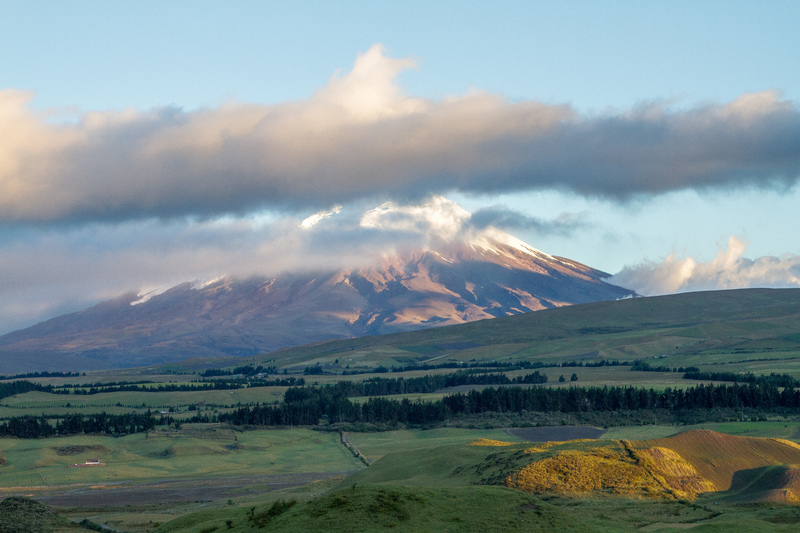 About 60kms out of Quito is the Cotopaxi National Park, where you’ll find the homonymous 5.800m volcano, one of the world’s highest, still-active peaks. Head here with a reputable company for insane fun on a mountain bike or horseback, or take on an arduous hike. It takes about 12 hours to summit the mountain, and the weather patterns here are extremely unpredictable. The rewards, however, are simply outstanding. If you love dramatic landscapes and snow-peaked peaks, then this is the one place you should include in your itinerary. Ecuador’s highest mountain stands at an impressive 6,268m and, if the distance from the earth’s core is taken as measure (this is where the planet’s ‘bulge’ occurs), this is also the highest peak on earth. As opposed to Mount Everest, which is merely the highest peak from sea level. Part of the famed Avenida de los Volcanoes, Chimborazo is the country’s mecca for hard-core climbers. A summit takes preparation, acclimatization and quite a bit of skill. Although it is not a technically difficult climb, experience in glacier and rough terrain climbing is recommended. Riobamba is the most popular base town to explore this and all other nearby peaks. You’ll find a plethora of agencies and experienced guides who will take you up Chimborazo for about $ 300 USD . Hikes usually start just after midnight, so you can watch the mind-blowing sunrise on the summit, and be back in time for lunch. After all that hiking, sightseeing, shopping, rainforest exploring and volcano climbing, one would surely be in need of a little R&R. Admittedly, the most popular beach towns on the Ecuadorian coast, (from Manta Bay to the north, down to Punta Blanca to the south) may appear to be overdeveloped, Miami-like hives (Salinas especially) yet you need not venture very far to find gorgeous, pristine stretches of lovely beach with barely a few huts. If beach-hopping for a few days, it would pay to rent a car and explore the entire coastline. Ecuadorians are an interesting ethnic mix and, although not all that dissimilar to their neighbors, you may find them a little easier to deal with. Mostly, this is due to the lack of mass-tourism here: people aren’t as gringo-exploitative as in Peru or Bolivia. What you will definitely discover, is that there is a general and inherent difference, and dislike, between highland and coastal Ecuadorians. The disparity between their customs, beliefs and lifestyle predate the Spaniards, although unless you start boasting about how lovely the people of the highlands are in Guayaquil for example, you’ll be none the wiser. The end of the 20th century was a double edged sword for Ecuador. While being marred by dictatorships and military coups (as many of its neighbors were), the serendipitous discovery of oil by Texaco catapulted the country into a phenomenal economic growth spurt. The country, unsurprisingly, decided to capitalize on this with fervent ardor. On the back of colossal borrowings, it completely revamped its economy (basing it now primarily on oil exports, rather than agriculture) and used the funds to update its national infrastructure. Unfortunately, a calamity of events in the 90s led to a catastrophic economic downturn. Firstly, the worldwide oil slump had disastrous consequences on Ecuador's economy. Then, to add insult to injury, Ecuador suffered one of the worst El Niño seasons ever recorded, effectively wiping out all of its crops. The consequential inflation led the then-President to take drastic measures. In 2000, Ecuador dollarized its economy and replaced its sucre (which by then was worth $ 0.00 USD ) with the American Dollar. In exchange, the country received almost 2bn USD in aid, an amount which certainly helped ease its worries. Not everyone benefited from this, of course, and the discontent among country folks is still ever-present. Chiquitas bananas are probably the most known export to come out of Ecuador, and the country is indeed the largest exporter of nanas worldwide. In Ecuador, they are surpasses only by oil export. Wonderful orchids and other cut flowers make up a considerable chunk of the export economy, followed closely by hemp and fish. Tourism is on the up an up, so expect infrastructure and services to improve considerably in the next few years. Gloriously fresh, tasty food is one of Ecuador’s most beloved aspects. The cuisine here is not all that dissimilar from Peru’s, yet the variation (and quality) is far superior. Regional and seasonal, the local gastronomic scene is a wondrous thing to explore. The ubiquitous rice, meat and fried plantain dish is ever-present, yet each region also offers something a little more enticing. Head up high in the mountain region and you’ll find llapingachos galore. This dish of fired potato cakes is best savored in its hometown of Ambato and often served with fried eggs, fresh avocado and pan seared chorizo spicy sausage. If you happen to be travelling around Easter time, look out for fanesca a super delectable soup made with over a dozen different types of beans (to represent each apostle) as well as pumpkin and salted cod, but we assume the two latter ingredients are just added for flavor. All along the coast you can feast on ceviche , a delightful marinated fish and shrimp salad, to your heart’s content. No matter where you head to in Ecuador, you’ll also find plenty of places serving encebollado , the country’s national dish and a hearty stew made with fish and pickled onions. High season in Ecuador is dictated by overseas holiday seasons, and actually says very little about the climatic conditions of the country. In reality, there’s no ‘best’ time to visit the country, only ideal times to visit a certain region. January-June: This is the best time to visit the Galapagos, as the waters and climate are all much more agreeable to diving and snorkeling. The Christmas period is very busy on the islands, so if planning an end of year trip you should book well in advance. The cold currents here make swimming without a wet suit quite uncomfortable all year long, yet at this time you can at least jump in for a quick dip in your bikini. June-October: This is the best time to visit the coast, as you’ll get semi-clear skies and a few rains, which keeps the temps low and the sunbathing time much more bearable. 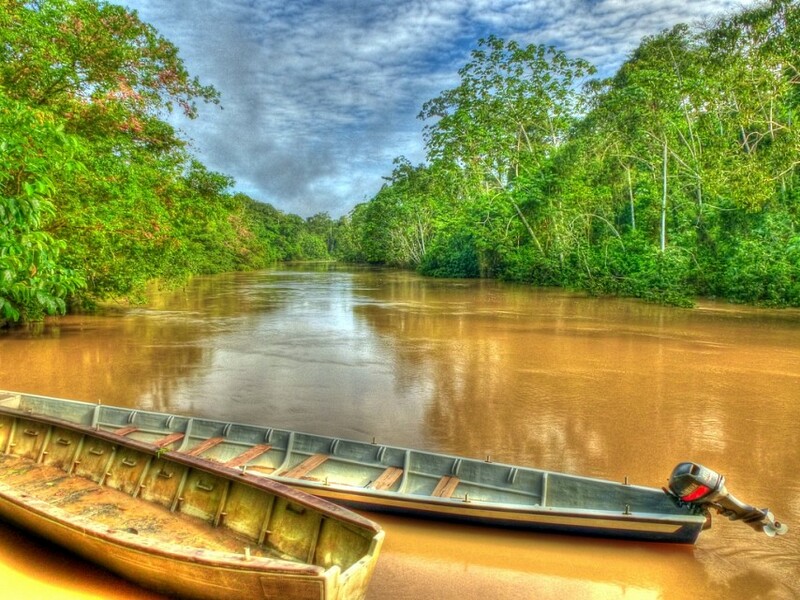 This is also the best time to visit the Amazon, as although it rains there pretty much all year round; this period is a little drier, which means fewer mosquitoes and less-flooded basins. The highlands are also best visited in this period, although you can expect bitter cold nights at high altitude. The lack of heavy rains, however, will make hiking less risky and arduous. Quito’s International Airport is one of the continent’s busiest hubs and, it should be noted, one of the nicest too. Given its diminutive size, Ecuador is an exceptionally easy country to negotiate, either by long-haul bus service, or even by air. The short distances make internal flights affordable even for budget-conscious travelers. Guayaquil also boasts quite an impressive international airport which often offers much cheaper flights into the country. Considering the fact that arriving here and making your way to the capital overland will help you acclimatize, do keep this in mind when planning your trip. The government is currently busy rebuilding the train network here and, considering everything works in South America time, there’s no knowing when this will actually be completed. Surprisingly, self-driving in Ecuador is much easier and more rewarding than in either Peru or Bolivia so if you are contemplating an independent tour of the country, do note that it is a very popular option for many visitors. Most roads have been completely resurfaced and, if you have previously visited Ecuador, you may be surprised to see the wonderful shape of the roads nowadays. All cities have a main bus terminal and coaches ply the route from Quito to all corners of the country. Avoid travelling at night if you can and try to break up long rides, especially on windy, mountain roads. Motion sickness seems to be accentuated at high altitude. When in towns, you’ll come across a multitude of minivans plying all sorts of routes, but for shorter distances we can highly recommend taking taxis. They usually offer cheap, fast and much more comfortable rides. 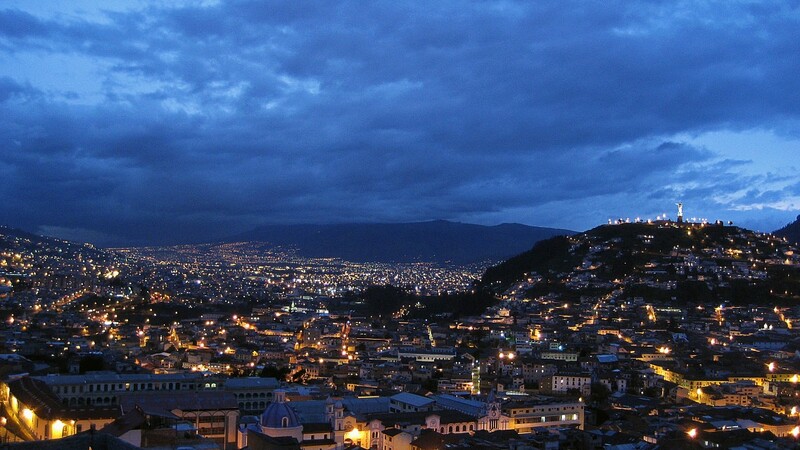 Ecuador gets its name from the equator line which runs through the country. Thanks to it lying smack bang in the middle of the equator line, Ecuador’s sunrise and sunsets occur at 6am and 6pm respectively, all year long. 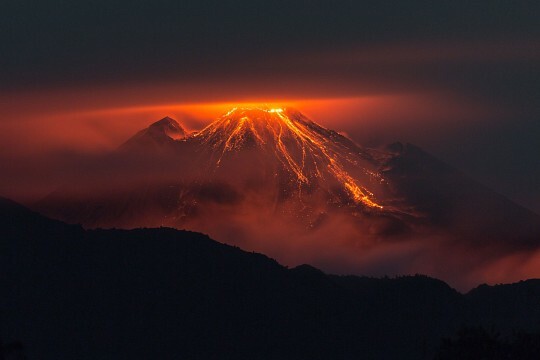 The country boasts one of the highest density of volcanic activity in the world. It is also the largest exporter of balsa wood on the planet. 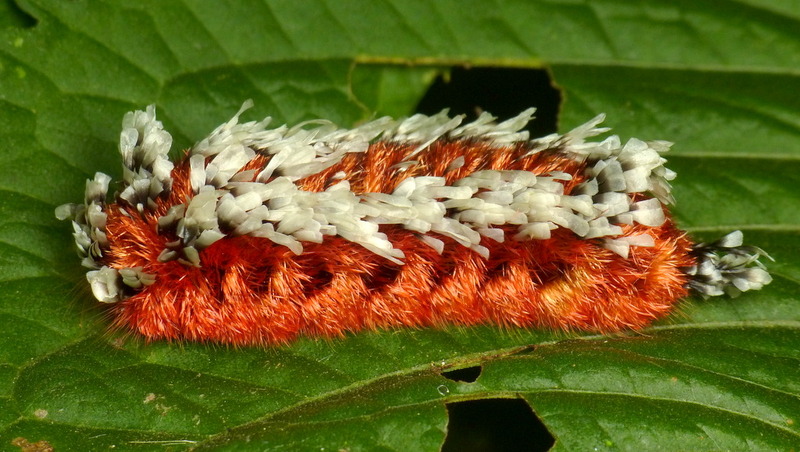 Thanks to the Galapagos and the Amazon, Ecuador is the 8th most bio-diverse country on earth. Locals, however, do have an uncanny obsession with hair gel, so this you will find everywhere AND very reasonably priced.